Interests:all things International Harvester, trucks, tractors, engines, old guns like Win 86, single shots, english DB shotguns & rifles, camping and beach fishing, International Harvester Club of Australia. I don't know most of the models and I think some were not new at the time going by the paint over spray. I would be interested what others think who know more about IH construction equipment than I do. 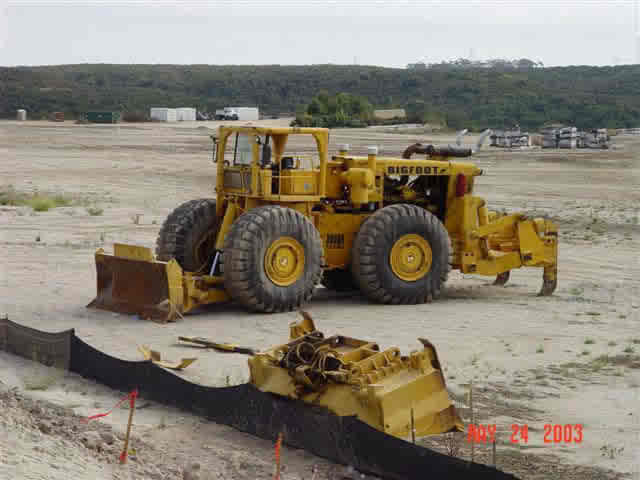 Cool video Saw a euclid dozer amongst the IH equipment TC12?? Interests:Second generation contractor, owner/operator, sadly most of the old stuff is gone but still run a 15E. Have owned; TD18A, TD20/201, TD20C, 250C. Special built stuff, anybody know where this was? 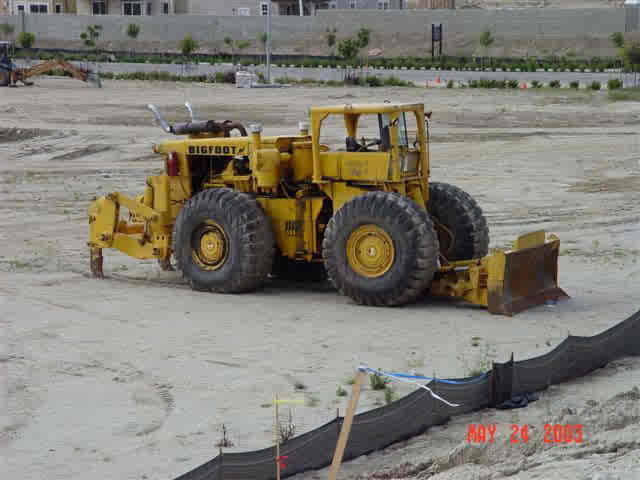 Tennessee, Looks like IH D500 rubber tired dozers doing the pulling. 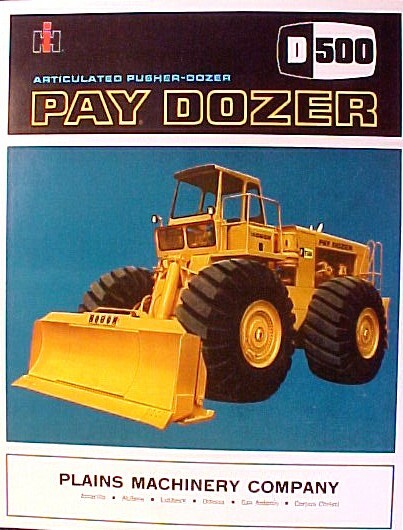 apparently they made 15 D950 "bigfoot" dozers , any info out there??? Kinda looks nearly the same? That blade looks so dinky. I'd vote for D500 as well. I have seen a D400 loader and it was huge. You could see it parked behind a 40 foot semi box trailer. The info did come from another forum ie; no verification , could just be a myth!! The trucks look to be payhaulers...a 4wd 180 and an older model 65... the pulling tractors have me stumped...not international as they don't articulate...the headlights make me want to say old michigan 375 rear wheel steer machines heavily modified.. as far as the bigfoot d500 goes ...from what I was told a while back a large contractor out west modified a fleet of d500 paydozers with angle blades..bigger tires and rippers to build that monster in the photographs. They do look Michigan with that grill. There would be IH logo on there as well. Phipps Bend was never completed. The RPV was for a GE BWR and the RPVs for a BWR are much larger than those for the PWR. The RPV for the newest ESBWR from GE is over 90 feet long and 26 feet wide. However they haven't sold any yet to anyone. thanks to M Diesel for the direct link, and a big thanks to all who posted to this. From what I understand of these things the Fukishima reactors were early BWRs and required power to keep their coolant circulating even when the reactors are scrammed. They began to melt down when the tsunami wiped out their diesel powered emergency generators. The latest designs (ESBWR) function passively so they won't melt down even without power. Or, so they claim.